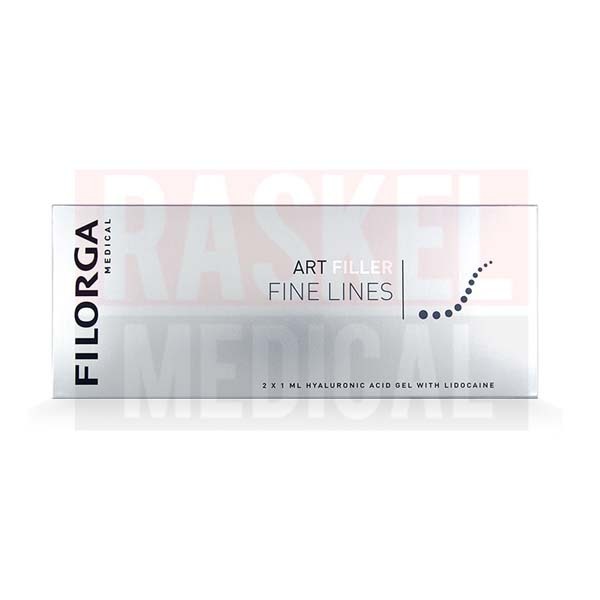 Filorga Art Filler Fine Lines is a hyaluronic acid dermal filler from the Filorga Filler Medical product range, which offers 4 textured gels specially formulated to specific injection sites. Using special Tri-Hyal Technology for complete sculpting, volumizing, and smoothing abilities, this dermal filler effectively corrects the premature signs of aging in the skin of the face. The formulation is incredibly biocompatible, so an allergy test is not required prior to injections. As the skin ages, it slows production of some key proteins and molecules that keep the skin moisturized and looking firm and toned. Hyaluronic acid, which is integral to keeping the skin hydrating, is 1 such molecule. Filorga Art Filler Fine Lines contains 3 different kinds of hyaluronic acid molecules formulated with Tri-Hyal Technology. These 3 molecules combine to sculpt, volumize, and smooth the skin, effectively hydrating the skin and filling in superficial fine lines. These 3 molecules have different structures: long hyaluronic acid chain; cross-linked hyaluronic acid; and free hyaluronic acid. Compared to other the other fillers in the product range, Fine Lines has a low ratio of long chain molecules, a low quantity of cross-linked molecules; and a high number of free molecules. 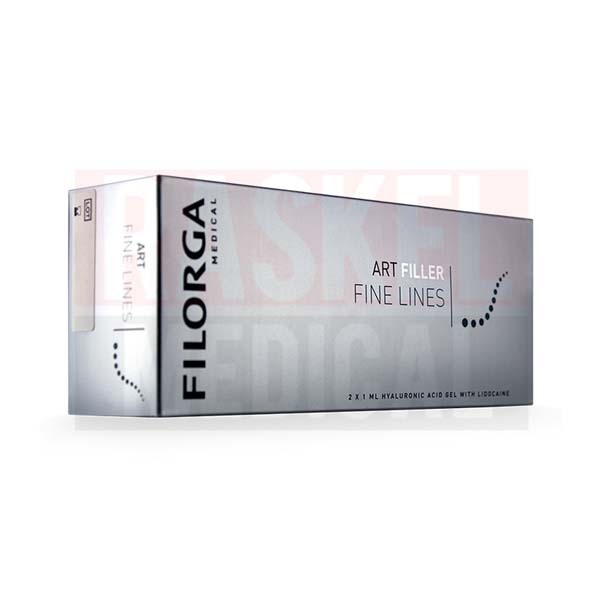 Filorga Art Filler Fine Lines is manufactured in France and distributed by Laboratoires Filorga, which specializes in technologically advanced medical cosmetics that provide non-surgical anti-aging solutions. This product is from Europe. The hyaluronic acid in this dermal filler is of non-animal origin. It is manufactured through a process of biofermentation. Filorga Art Filler Fine Lines is manufactured following the highest safety standards, including those set out by the Food and Drug Administration (FDA) and International Organization for Standardization (ISO), and has a great safety profile. However, there are some mild side effects that may occur following injection. Reactions will typically appear immediately after or shortly following treatment and will resolve themselves within a few days to a week. Treatment with this dermal filler is suitable for men and women whose skin is showing the premature signs of aging and superficial lines and wrinkles. 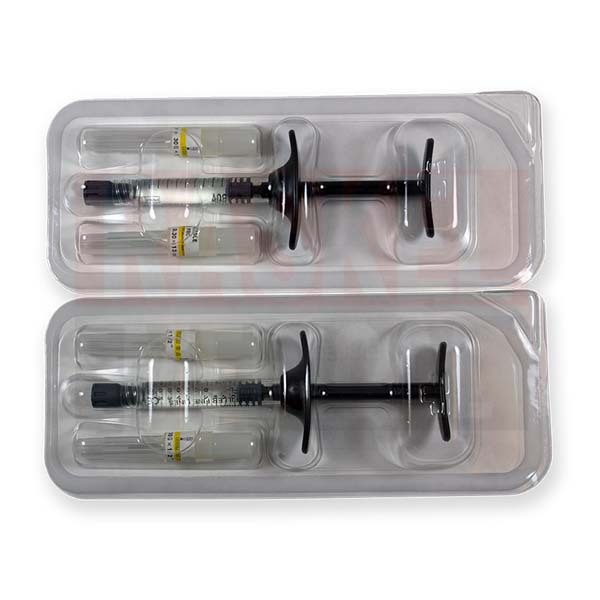 The gel is provided in a prefilled syringe, which has a special ergonomic design for comfortable and precise injections. Patients who are hypersensitive to any of the ingredients should not use this filler. Cleanse and sanitize the treatment area following proper aseptic standards. Apply an anesthetic for patients who may be worried about pain during injection. Inject Filorga Art Filler Fine Lines intradermally into the superficial layer of the dermis using a 30G½” needle. Injection can be performed using a retro-tracing technique, or a bolus may be used to achieve best results. Gently massage the treated area to ensure even distribution of the gel. Prior to the procedure, it is essential that you inform you patient of all contraindications and side effects. Reviewing their medical history beforehand will also lessen the risk of any severe side effects. 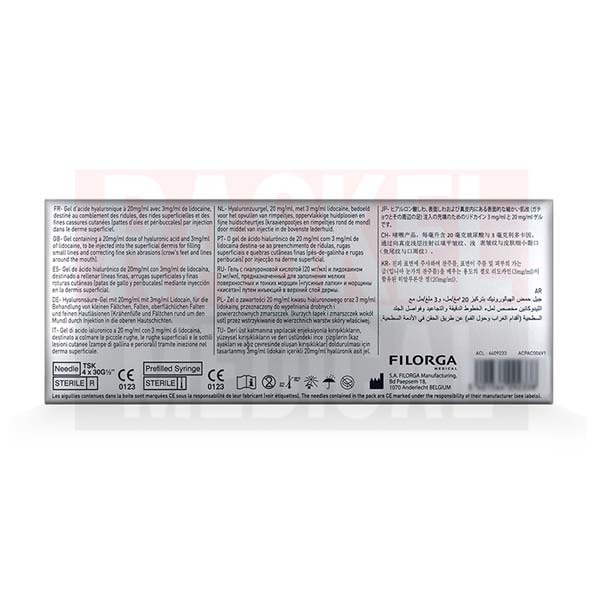 Filorga Art Filler Fine Lines is composed of 3 different kinds of non-animal hyaluronic acid with a concentration of 20mg/ml and 0.3% lidocaine for comfortable injection. The active ingredients are reconstituted in a phosphate buffer solution with 7.2 pH. The duration of the effect will vary by patient, with factors like the individual’s lifestyle and age, as well as the injection technique used, and the area being treated all playing a role in the longevity of the results. On average, Filorga Art Filler Fine Lines may last up to 12 months and touch up injections can be given as needed to maintain lasting results. This soft tissue filler is provided in sterile packaging and should be stored in its original packaging. It should be kept at room temperature in a temperature-controlled area between 2°C and 25°C. Always check to ensure the package has not been tampered with prior to use. This dermal filler should never be used after its expiration date. The expiration date is printed on the product label.